I had concerns but decided the savings were worth trying it. 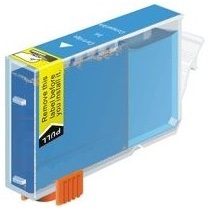 It worked exactly like the much more expensive Canon ink cartridge!!! You just can't ask for more at GREAT SAVINGS. Very happy with these inks. Now at a very good price, fast delivery. Have been ordering these inks from this company for years. I'm a low volume user for family use.